Focusing with high-fidelity acuteness on a fateful couple of hours in the honeymoon suite of a genteel Dorset hotel in 1962, this brilliant short n ovel is a triumph of finesse and nuance. 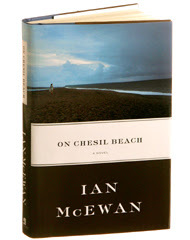 Capturing with unerring authenticity the look and sound of a buttoned-up era about to be swept aside by the liberties of a gaudier time, McEwan shows how its ethos of verbal, physical and emotional restraint stifles a relationship. Where damage in his previous works was wreaked by violence, malice or disturbance, here it is brought about by decency, consideration and responsibility. As a period piece, the book shimmers with semi-satiric irony. As a story of two admirable young adults kept apart by inhibitions and the pressure of their pasts, it is deeply affecting: elegantly structured, subtly written and brimming with imaginative sympathy. A superlative novella that, like Némirovsky’s masterpiece, Suite Française, has recently been retrieved from the miraculously surviving manuscripts of this prodigiously gifted author who died in Auschwitz in 1942. Set deep in the Burgundy countryside among acquisitive, distrustful landowners, it chronicles the unrolling of a terrible nemesis as hidden secrets come to light. Seasonal and agricultural rhythms governing its characters’ lives are atmospherically conveyed. Sensuous, tense and resonant, the book endows its closed-in community with wider significance, too, by turning it into a memorable emblem of time’s inexorable deadening of youth and vitality. Initially, this seems a charming curiosity. On a tropic island in Papua New Guinea in the early 1990s, schoolchildren (and their families) listen enthralled as their village’s only white man retells the story of Great Expectations. When the civil war that has been raging in the distance closes in, Jones’s novel expertly clenches into something more fearful, and Dickens’s themes – orphanhood, loss of home, patronage, deceptiveness – take on urgent relevance. A haunting tour de force. Footnote: this cover is the John Murray edition, published by Penguin in NZ, and Text in Australia all with different covers. 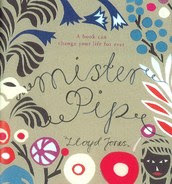 See my story from September 18 on the Mr.Pip covers. A controversial bestseller in the Arab world after its publication there in 2002, Al Aswany’s swarming, colourful account of people living in and around a once swanky, now dilipidated apartment block in Cairo scathingly indicts a society riddled with corruption and torn between state brutality and Islamist fanaticism. As chockablock with vivid characters, diverse storylines and moral and social indignation as a Victorian novel, it is as readable as it is courageous. In this first novel of a projected sequence that looks likely to parallel her acclaimed Regeneration trilogy, Barker returns to fictional territory she has made her own: the first world war. This time, her central figures are young artists studying at the Slade. The impact of the western front and its abbatoir atrocities on them, their work and their relationships is explored with veteran expertise in a work alive with informed intelligence, psychological acuteness and a fascinated and fascinating concern with the ethics and aesthetics of depicting war damage.